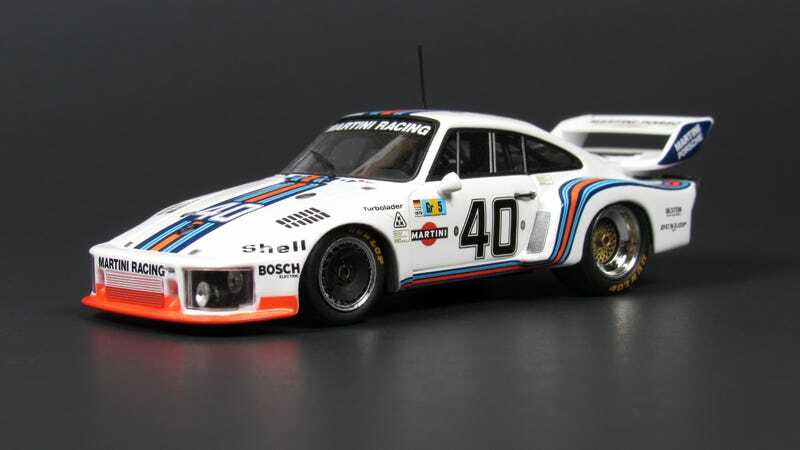 This is a Porsche 935/76 as run by Martini Racing Porsche System in the 1976 24 Hours of Le Mans, recreated by Minichamps in 1/43 scale. Driven by Rolf Stommelen and Manfred Schurti, it finished 1st in class and 4th overall. The Porsche 935 is one of the most iconic sports car racers ever built. Its striking styling, especially on the rear of the car, is a perfect representative of some of the crazier times in motorsports history. Adorned here with one of the most iconic liveries ever created, we have a pretty special piece. This model joined my collection courtesy of Enginerrrrrrrrr, who sent it to me as part of LaLD’s 2015 Secret Santa exchange. Boy was I lucky! This model, in typical Minichamps fashion, is just excellent in every way.